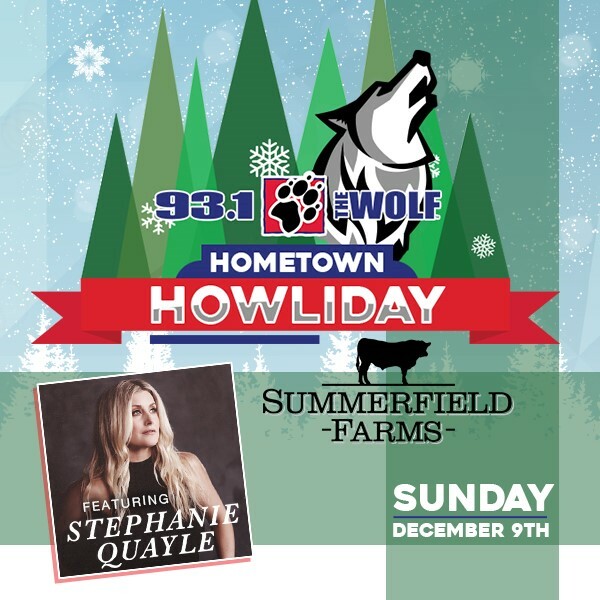 Stephanie Quayle is coming back to the farm for a ‘howl’iday concert organized by 93.1 The Wolf. to get tickets all you have to do is bring a toy for Toys for Tots to The Market at Summerfield Farms. 1 toy = 2 tickets. Tickets are limited so don’t wait to bring your toy! Doors open at 2pm.